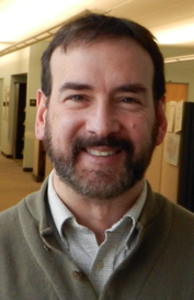 Kirk Smith, DVM, MS, PhD has been Supervisor of the Foodborne, Vectorborne, and Zoonotic Diseases Unit at the Minnesota Department of Health. Dr. Smith is widely regarded as a national authority on foodborne illness surveillance and outbreak investigation. He is an adjunct professor in the UM SPH (Division of Epidemiology and Division of Environmental Health Sciences). He teaches a 15-hour, 1 credit course on foodborne illness surveillance and outbreak investigation at the UM Public Health Institute (PHI), and he frequently gives invited lectures on these topics at local, state, and national venues. Dr. Smith has been the MDH Steering Committee member for the Foodborne Diseases Active Surveillance Network (FoodNet) since 1999 and for the Environmental Health Specialists Network (EHS-Net) since 2000. Dr. Smith (along with other Minnesota team members) has been an active participant in OutbreakNet, including the steering committee and working groups, multistate outbreak investigations, and national OutbreakNet/InFORM meetings (serving on the planning committee, acting as session moderators, and giving invited presentations). Dr. Smith currently serves as Co-Director of the Council to Improve Foodborne Outbreak Response (CIFOR), and the Food Safety Subcommittee Chair for the Council of State and Territorial Epidemiologists (CSTE). He served on a workgroup to develop national standard data elements for hypothesis generation in multijurisdictional outbreaks. He also serves on the Coordinating Committee and Response Workgroup of the FDA Partnership for Food Protection.